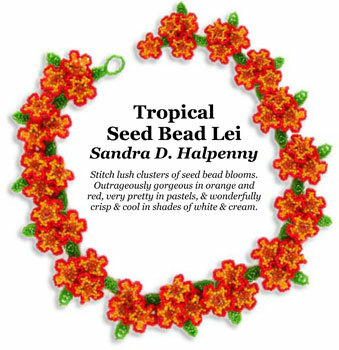 Stitch lush clusters of seed bead blooms. Outrageously gorgeous in orange and red, very pretty in pastels, & wonderfully crisp & cool in shades of white & cream. *Bead Counts are per flower unit, each unit is approximately 1-1/4". Select necklace length desired, divide by 1.25" and multiply resulting number by bead counts to determine total beads needed.